The passage of time doesn’t seem to have touched Plaka. 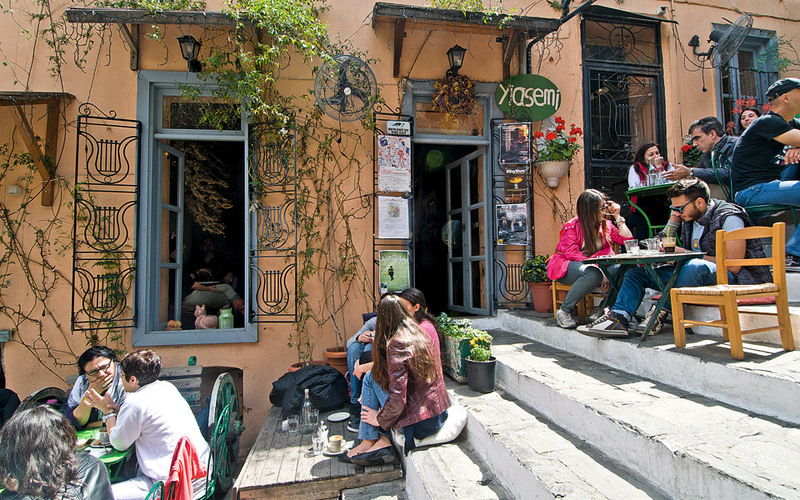 The very old neighborhood located beneath the Acropolis has remained the way we’d like all of Athens to be. Old, aristocratic houses, picturesque streets, flowers, gardens, beautiful churches and bohemian, romantic places that are ideal settings for discussions among large groups. 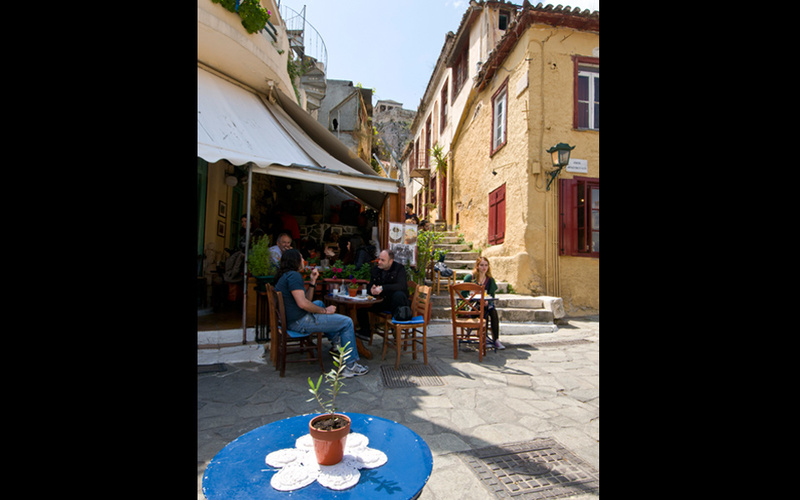 Mnisikleous street is rightly the most famous spot in Plaka: coffee-taverns on white stairs that climb uphill to the even more picturesque neighborhood of Anafiotika. 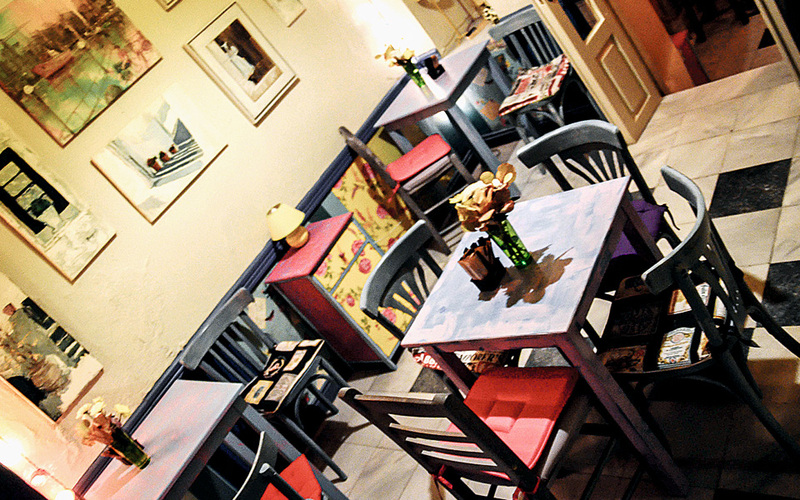 Sit on pillows or wicker chairs and choose coffee and homemade pastries in the morning, ouzo or wine and meat selections at night.